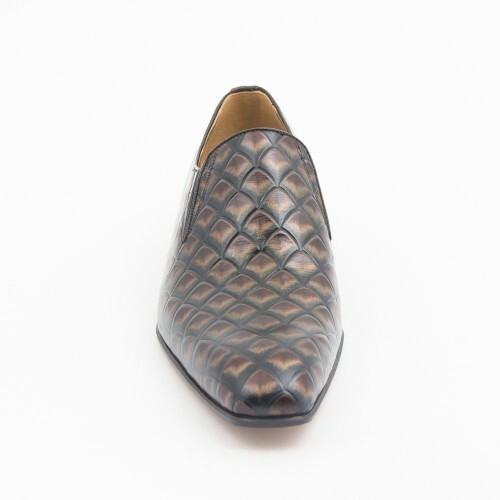 Elegant Anaconda print shoe designed by Mister. Leather upper; leather lining; leather sole. Made in Spain.